I stopped writing to my pen pal, Mary Wang, of Anchorage, Alaska, the year I started high school. Partly because my mother told me she was too ugly for me to be friends with, but mostly because I was terrified of being ugly myself. Beginning from when I was ten years old until I was fourteen, I wrote over eighty letters to Mary, who must have also written over eighty letters back to me in Napa, California. My parents had immigrated to San Francisco from Seoul, Korea during the sixties; in the early seventies my parents moved to Napa, fifty miles north of San Francisco, because they enjoyed nature, open space, clean air, camping, hiking, and outdoor sports. They wanted to start a family in the country. They bought a large ranch house with glass walls and a guest house on five acres of property. Standing in the yard you could see mountains, sometimes deer, a coyote or fox. I know that my pen pal Mary and I wrote over eighty letters to each other because I have a letter postmarked January 28, 1991, on which Mary wrote on the outside flap of the envelope in purple ink: Fact: To date, I have received 79 letters from you from Nov 1987 to Dec 1990. I’m waiting for your 80th letter!! The five-page, double-sided letter is covered in words and pictures drawn in purple, pink, and green ink. One page is written in a spiral pattern, maddening as you have to turn the page slowly and continuously in a circle to read it. Some of the pages have drawings of bunnies and little faces, other unidentifiable doodles and scribbles. The letter is folded into a complicated, origami-like square with an arrow on a tab you pull in order to open it. There’s another letter postmarked February 16, 1991 that says on the outside of the envelope: Ur last letter was the 80th letter I received. I would have been thirteen going on fourteen that year, finishing up the eighth grade at Silverado Middle School in the Spring and entering Vintage High School in the Fall. I stopped writing Mary letters the first semester of my freshman year. Couldn’t say I didn’t warn ya! I saved fifteen of Mary’s letters (plus a Christmas card). I can deduce from those letters that I had been asking Mary for a picture for a while and had recently sent one of myself. Mary nervously mentions that she’ll send me one when the school pictures get developed. On the outside of an envelope she writes: Bracelet? Maybe. Picture? No way. (The “bracelet” refers to a friendship bracelet. Apparently I made one and sent it to her.) In another letter she says that she’s worried about her new haircut, which makes her look like a boy, and wonders whether she should wear her glasses in the school photo. In the picture Mary sent me, there’s a cute Asian girl who looks more like a child than an adult. She has a short bowl haircut, braces on her teeth, giant glasses, and wears a shirt decorated with little pink rosebud appliqué, the kind of top you can find in the children’s section. By the time Mary sent me the photo I had already started freshman year of high school. At school, I noticed that some kids still wore children’s clothes, but that made them automatically “uncool.” Meanwhile, my friends and I had been dressing up as tiny adults, smaller versions of our mothers. By seventh grade I had already begun wearing some of my mother’s clothing—too large and loose, of course, but I still wore them. My hair was long and permed. I curled my lashes and wore mascara, a sheer lipstick sometimes. All of my friends did the same. In Mary’s picture, Mary is a child, which technically at thirteen and fourteen, she still was, as was I. But Mary looks much younger than my friends and I did at the same age— less sophisticated, less mature. A few things of note: (1) my mother never told me I was pretty. Normally she pointed out the unattractive parts of my face and body, suggested that I should get plastic surgery when I got a little older, made sure that I knew that she (my mother) was prettier than me, that all my friends and pictures of women in magazines were prettier than me, and (2) I did not know I was prettier than Mary. I looked at the picture more closely, realizing that Mary was ugly, that if she went to my high school I would not be friends with her. If my friends saw her picture, they would make fun of her. If they knew she was my pen pal, they would make fun of me for even having a pen pal in the first place. I was afraid of being the girl in the picture, someone who people saw and remarked out loud, how ugly. I didn’t want to be Mary Wang. I stopped writing. But Mary kept writing. She sent several letters asking why I hadn’t written. She said her mother told her it was because I was pretty and she was not, and probably after I got her picture I decided she was not good enough to be friends with. Mary wrote that she hoped this wasn’t true, that she didn’t want to believe her mother, that there must be another reason why I’d stopped writing. She said she was sad and asked me to please write her back. I am repeating this from memory. I don’t have those letters anymore. I threw them away after I read what her mother said about me, wanting to forget I had made Mary feel bad about herself. I couldn’t believe her mother had figured out the truth. She had never even met me. How could she know? I thought. How can someone figure out what I’m thinking when I haven’t said anything? Mary eventually stopped writing. Pretty soon I regretted ending our correspondence. During high school I guarded a secret. My father had beaten me with a golf club one day after school. It was an isolated incident but the welts on my arms and my sides from trying to protect myself remained for weeks. I remember thinking that I wished I could write Mary. But I had already betrayed her and I didn’t think I could go back. To read the rest of this essay, order your copy of Issue 22.2-Summer/Fall 2010 today. 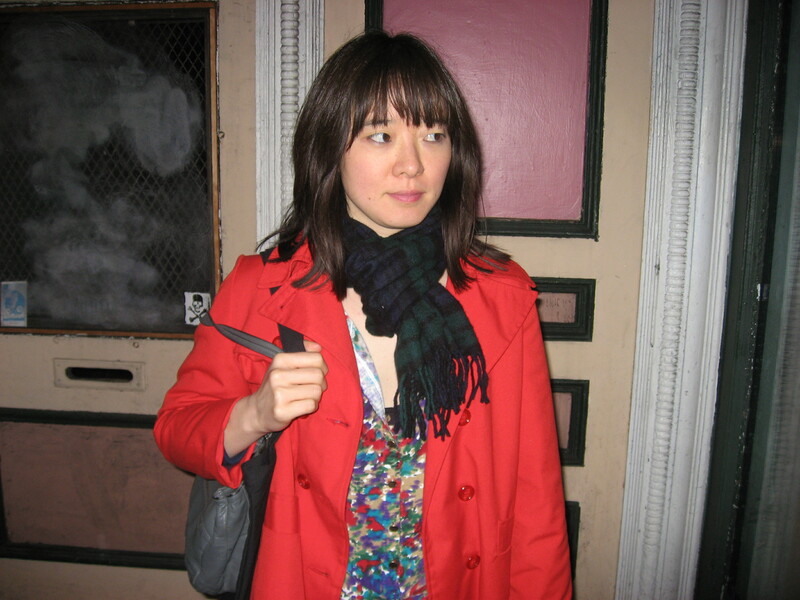 Lisa Lee is a Kundiman fellow and received an MFA from the University of Houston. She received a B.A. from U.C. Berkeley and J.D. from Santa Clara University. Her work has appeared in North American Review, Gulf Coast, The Tusculum Review, Pebble Lake Review, and Reed Magazine. She lives in Brooklyn.